The Precambrian (not called an "era") is a time when the Earth was taking shape, solidifying, and developing life. Even now, in our own era, the Earth is changing. The surface plates are moving, material is being destroyed, melted, and re-formed. But, during the Precambrian, this was a constant, massive change. You can imagine that as the Earth's crust was moving, melting, and being bombarded by meteorites (very little atmosphere on the early Earth to burn meteors) very little material lived long enough to survive. 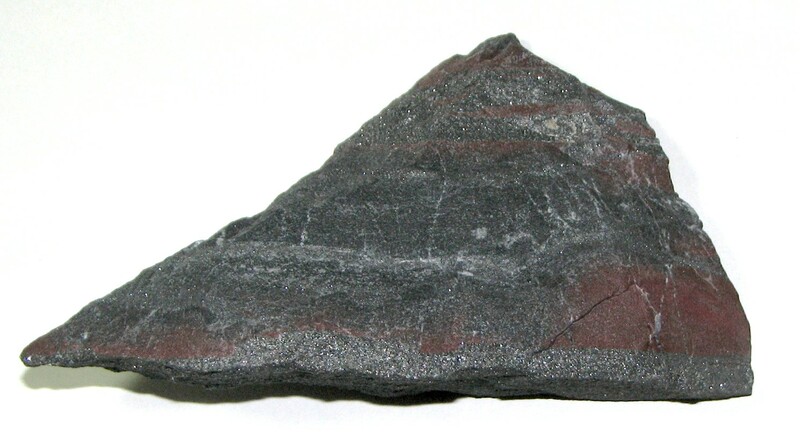 Here is one of the oldest rocks on Earth. 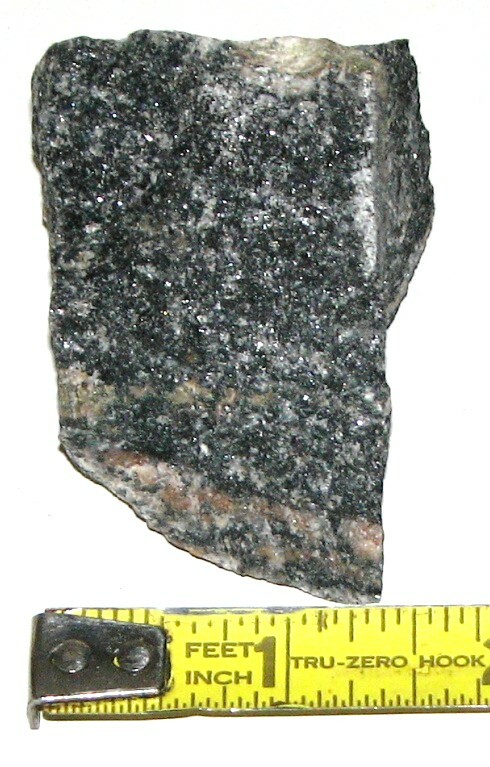 This is Acosta gneiss (pronounced "nice"). At 4.05 billion years old this is one of the oldest rocks. The first signs of life are 3.8 billion years old and were built by cyanobacteria. 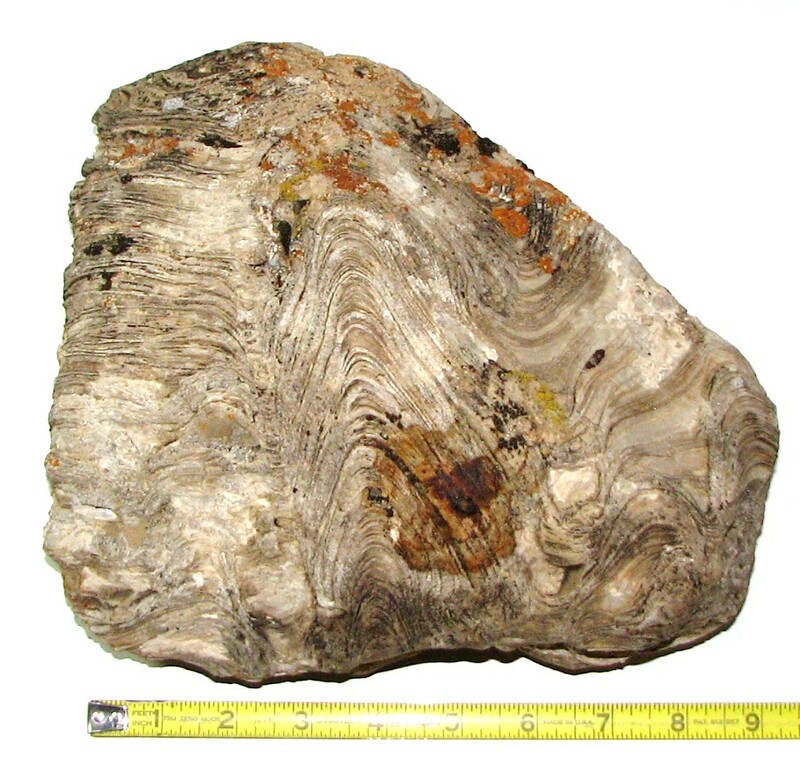 Stromatolite was built layer by layer over many years. The bacteria would form a mat onto which dirt would fall. To avoid getting buried, the bacteria would build a new colony, layer, on top of the dirt. This would happen time after time until a stromatolite similar to what you see above was formed. The stromatolite section below is 3.43 billion years old. The end result of all these colonies was oxygen. The bacteria used the sun's energy to extract nutrients from its surroundings. The by-product was oxygen. All this oxygen started combining with elements in the water, for instance, iron. The compounds would then precipitate out of the water. 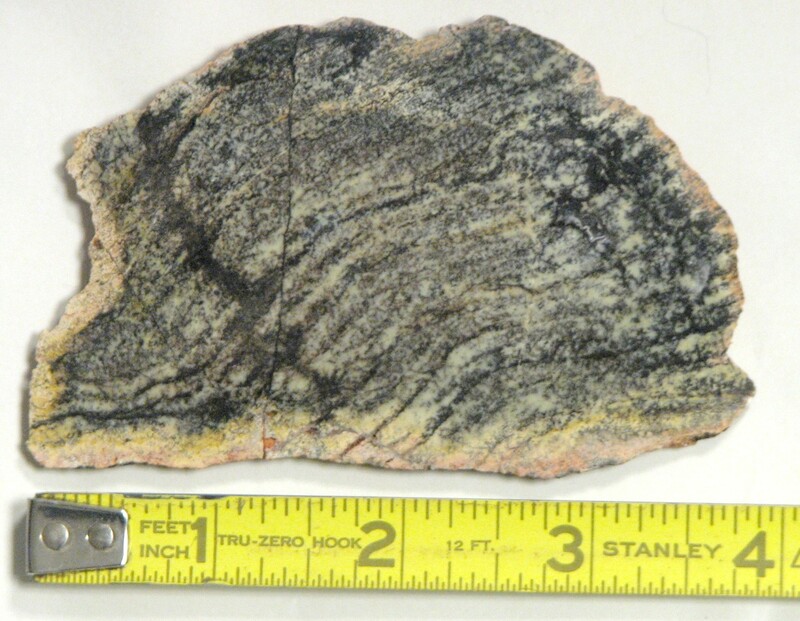 Above is banded iron. The rust that fell out of the water formed a layer at the bottom of the sea That's what you are looking at above. At about 650 million years ago, approximately 4 billion years after the Earth formed and 3.2 billion years after the first known life, more complex life formed. Not extremely complex, but more complex than bacteria. Above is Nemiana simplex. 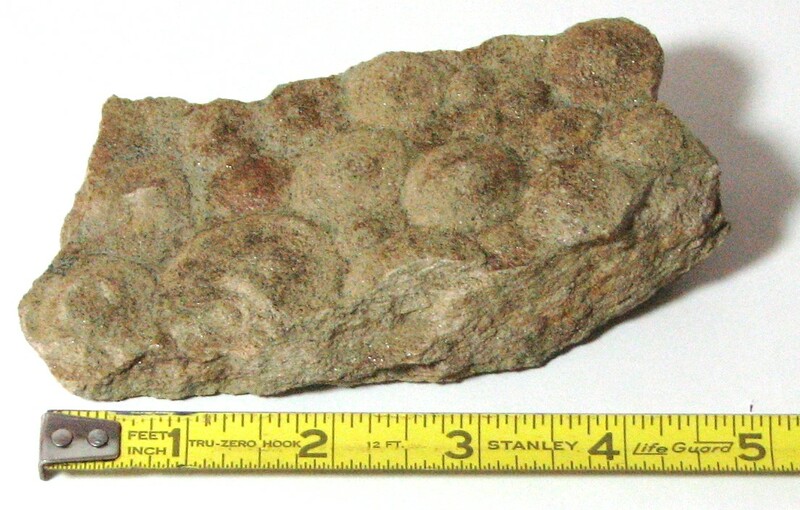 This piece is 600 million years old. It's top (the part you are looking at) was thought to be umbrella-shaped, a lot like a jellyfish. The top was anchored to a base. You can see that this life was not very mobile. There are some who believe Nemiana was actually a plant. The life at this time was still not very complex.